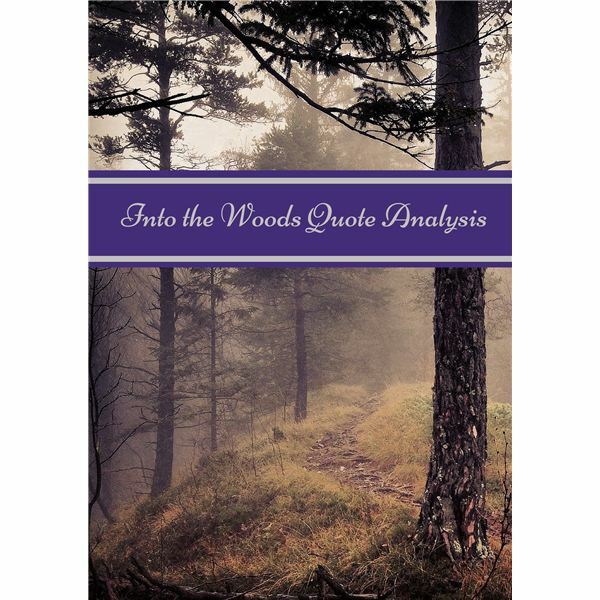 As teachers, we all know how essential it is for students to be able to paraphrase quotes and provide insight into the meanings behind the quotes. How do you best start this practice with middle school students, so that they get into the habit of not only understanding what is being said but also noticing the higher message within a quote? The best way, most teachers would agree is “practice, practice, practice," but merely throwing out random quotes on a daily basis and seeing what students make of them is not always the best way to enter into the interpretation game, as it were. Engage them and capture their interest by having them examine quotes for lessons they can apply to their own lives. With the current focus on fairy tales due to the release of Into the Woods and the success of Once Upon A Time, this is the perfect subject to spark practice on quote interpretation. Using the downloadable PowerPoint as a guide, show the film or show clips from the film featuring these quotes. If you have time, show the entire film. It goes over very well with students aged 11-16. Then, for each quote, have students complete the following writing task. For each of the quotes, write a one-page essay that covers the following topics. Identify the singer/speaker. Explain what is going on in the plot when the line is uttered. What significance does the line have for the character? How can you relate the quote to your own life? My father’s house was a nightmare. Your house is a dream. Now, I want something in between. Explain what is going on in the plot when the line is uttered. What significance does the line have for the character? How can you relate the quote to your own life? Now, from each student, you have seven writing tasks that clearly show analysis and interpretation. Not bad for a fairy tale lesson!